COLUMBUS – Visitors to the area surrounding the old Pawnee Park Pool may notice a void in the decor. The replica of the Statue of Liberty was taken down earlier this week. 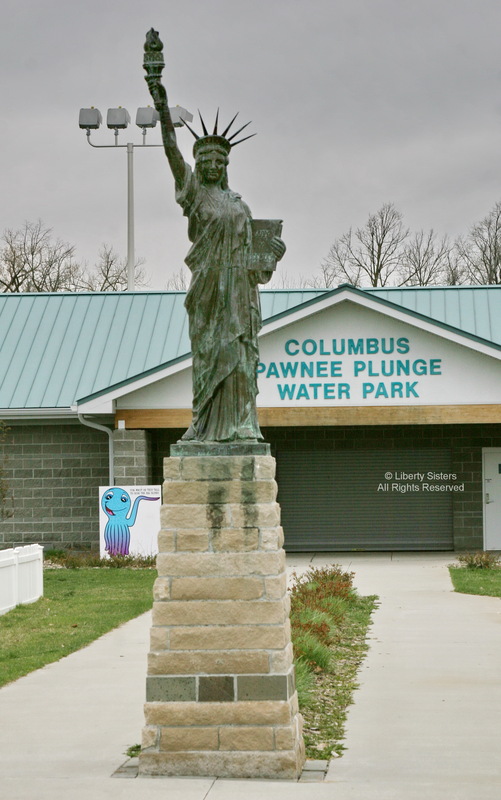 But, don’t worry, Lady Liberty’s Little Sister, as it is known, will return to the area next spring when the new Pawnee Plunge Water Park is dedicated. She was moved in 2005 to storage and then to the entrance of the water park just across from its original location. Her relocation was to allow for the construction of a motel and parking lot. We were unable to visit this site and have no further information or images of her. I cannot positively identify her existence at the memorial park at the entry to the water park with imagery from 2012. If you can provide images, stories or both please use our online form to submit your info. We very much appreciate any assistance we can get in keeping out site up to date with the latest and most accurate information.